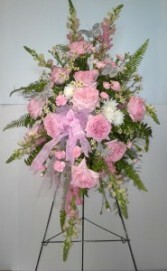 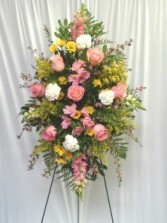 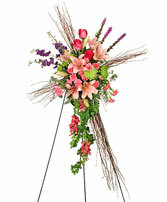 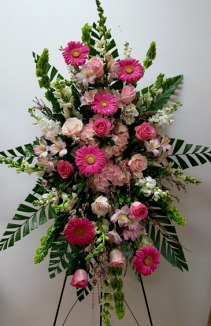 Large standing spray in the shades of pink with a touch of green and white. 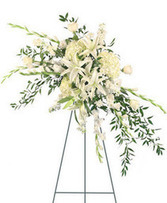 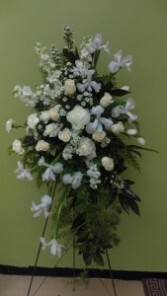 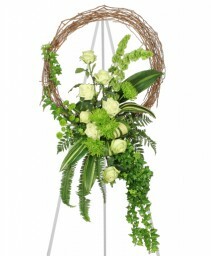 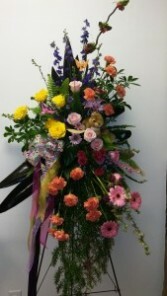 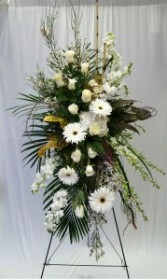 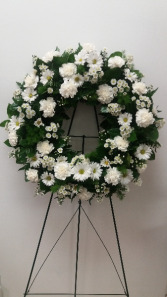 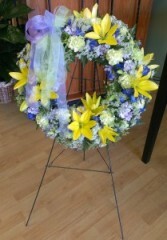 Standing Spray with grapevine wreath and cross both covered in sheet moss. 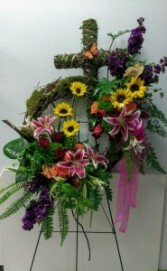 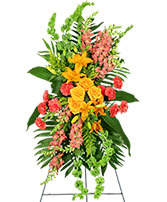 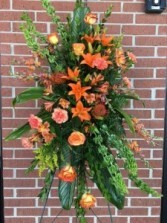 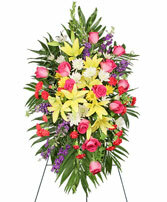 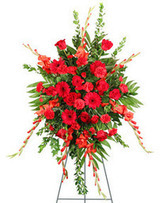 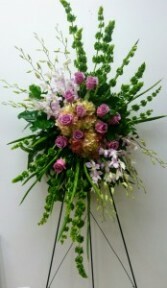 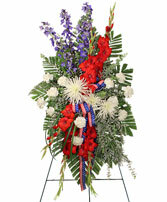 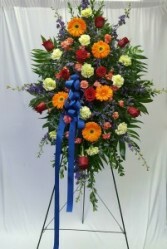 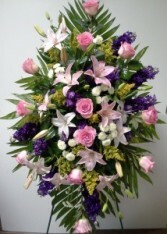 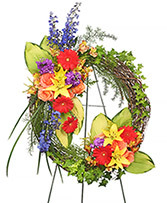 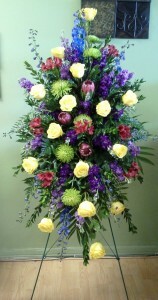 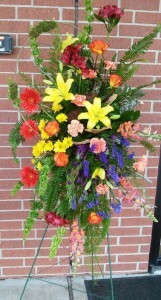 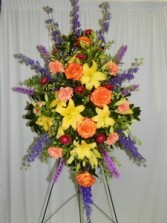 Flowers are star fire lilies, red roses, purple stock, sunflowers, orange carnations, green trick, greenery of flat fern, pittosporum, hanging amaranthus, fox tail fern, bupleurum. 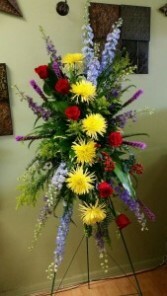 Substitutions may be necessary since our sprays are customized for each customer.